Bibby Scientific Ltd is one of the largest broad based manufacturers of laboratory products worldwide. 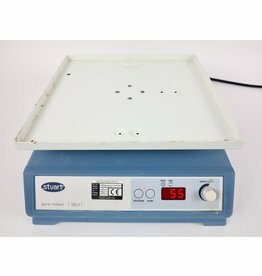 Specialising in a range of benchtop laboratory equipment and high quality lab supplies, Bibby Scientific Ltd provides internationally recognised brands with reputations for product quality and exceptional performance. These famous brands are now brought together in a single package to offer an excellent level of quality, service and support. 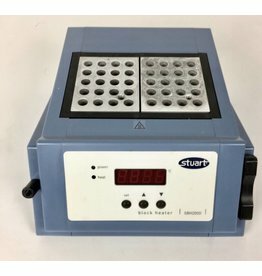 Stuart® offers one of the most comprehensive ranges of benchtop equipment available today. 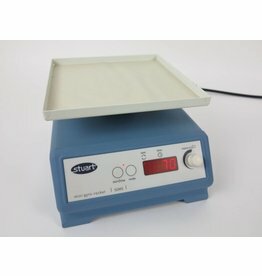 The entire range of benchtop equipment is protected by BioCote antimicrobial protection. Gebrauchter Stuart SSL3 Taumelschüttler mit großer Stellfläche. Führt eine spiralförmige 3D-Bewegung aus, ideal für nichtschäumende Agitation, DNA-Extraktionen, Färbungs- und Entfärbungsverfahren. Mit 2 Blöcken für je 20 x 1,5 ml Tubes. Schöner Zustand - Top Preis. 6 Monate Gewährleistung.